Horses will sometimes develop cinch sores, or have a wound in the cinch area. 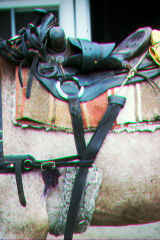 It may be possible to use the horse before the wound is healed if you can use a technique called "center-firing" to place the cinch in a position where it will not touch the injured area. 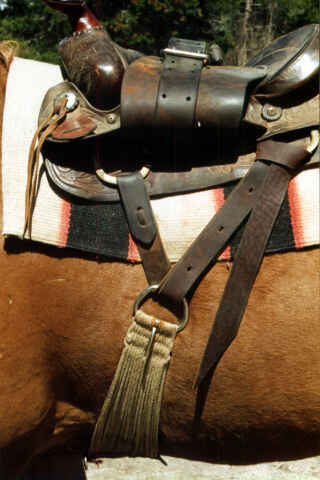 Center-firing simply means to tie the latigo off to the rear cinch dee ring if your saddle is double-rigged. 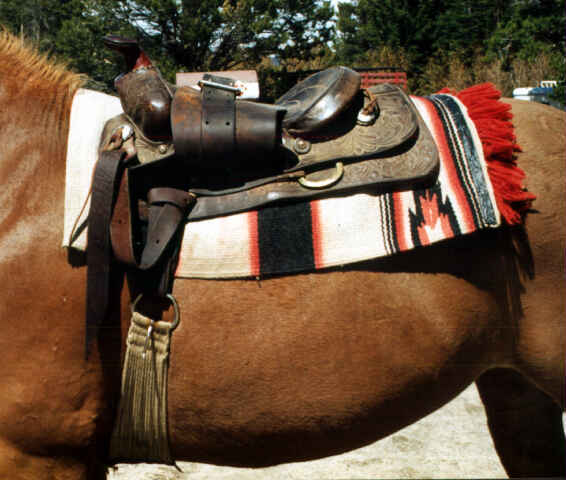 If your saddle is single-rigged, you can tie the latigo off to a rope run behind the cantle. It is more difficult to adjust the latigo through a rope loop, so be careful to get the cinch snug enough. Original article by Mike Laughlin appeared in the February 1997 issue of	Western Horseman Magazine.